The LM12-10MP NON DISTORTION series are high resolution (up to 10MP) lenses designed for board level cameras or cs-mount cameras in combination with a CS-mount to m12 adapter with a 1/2.3" sensor or smaller, to create sharp distortion free images. 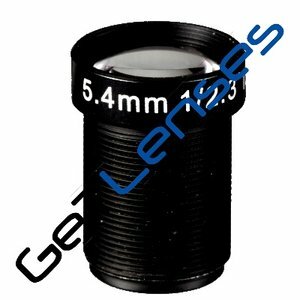 The non distortion in combination with the large opening angle makes this lens series, ideal for high quality imaging in for example medical and life science devices where a short working distance but large field of view is required. The serie has multiple focal lengths to assure the right working distance can be met for each application. The lens has a fixed iris and the focus is adjustable by turning the lens. All datasheets can be downloaded in our download area.